Francis Beckwith’s book is heralded as the “most comprehensive defense of the pro-life position, morally, legally and politically, that has ever been published.” Perhaps the word comprehensive is the best that can be found to describe the task undertaken in this book. Associate Professor of Philosophy and Jurisprudence at Baylor University, Beckwith here gives an incredibly thorough presentation of the questions at stake in the legal and moral debate over abortion. He himself describes the purpose of the book as providing “ a thorough defense of the pro-life position on abortion and its grounding in a particular view of the human person, a view I will argue is the most rational and coherent one that is at the same time consistent with our deeply held intuitions on human equality.” (Intro, pg. xi) In order to accomplish this goal, he utilizes everything from a detailed overview of the history of the Roe v. Wade court case, and those following it, to an explanation and critique of virtually every argument of the opposing side. Some of the most valuable sections of Beckwith’s book are those in which he engages the “deeper questions,” uncovering the inner logic (or lack of it) at work in the legal decisions and popular arguments in support of abortion. While it is easy to get lost in the details of specific debates, situations and actions in the midst of such an emotionally charged topic as abortion, Beckwith takes us the crucial step further into examining the heart of the issue. His first chapter is devoted to a critical examination of the problem of moral relativism, and how it affects our mode of reasoning about moral questions in general. Again in Chapter Three, he gives us a thorough account of why it is impossible to avoid the question of what it means to be a human person, a subject of moral rights, even when one claims not to have attempted to answer such a philosophical question. Beckwith rightly asserts that everyone who takes a stand on anything is operating on some implied conviction of what it means to be human, what a person is, etc. In his explanation of this fact, he also presents a clear, straightforward account of a traditional metaphysics, describing the crucial distinctions of accident and substance, what it means that things have natures, what constitutes an organism, etc. He brings all of these important distinctions to bear in demonstrating that virtually every argument in favor of abortion has ignored or misunderstood some or all of these principles. For example, he shows how many arguments which deny personhood to the unborn do so out of a mistaken reliance on accidental qualities as the criteria of personhood, such as viability, sentience, consciousness, physical appearance, or other characteristics, and confusing them with essential qualities, i.e., those things that make something to be what it is. The remaining chapters of the book are largely devoted to a critical analysis and refutation of the variety of arguments for abortion, loosely organized around two different stances: those that argue for abortion on the grounds of the unborn not being a person (even if recognized as a human being,) and therefore, not a subject of rights, and those who grant the unborn personhood, but, for a variety of reasons, still maintain they have a lesser degree of value/rights than fully-born persons. Because of his engagement with so many interlocutors over the fine points of their arguments and their individual examples, it can be hard at times to follow him through his plethora of debated points. The structure and method he employs can be confusing, and the basic truths he’s trying to convey at times become lost in the minutiae of answering every last objection and analogy offered against him. This structure even causes him to repeat, verbatim, several pages of his argument from chapter three to reinforce his point in chapter six! It is clear throughout these chapters that Beckwith is very well-versed and equipped in his understanding of the opposition’s arguments and logic, and very practiced in debate on this topic. However, I was disappointed by a lack of unity and integration at times between the chapters devoted to answering specific thinker’s positions and his reflections on the deeper questions at stake in the debate. It seemed oftentimes that he failed to bring to bear upon the popular arguments the very conclusions concerning anthropology and metaphysics that he himself enunciated in other chapters. Thus, in answer to certain arguments that affirm abortion on the principle that human life is only potentially present, or not present until sentience, etc. he wants to argue that the value of a human person is not dependent on qualities they possess, or their benefits or usefulness to society. But this truth, (namely, that every person has an intrinsic value by virtue merely of being human,) is precisely what is being denied and challenged in such positions, a fact he himself acknowledges in other places. Similarly, he critiques those who argue for abortion on the grounds of the inviolable autonomy of the human body by appealing to the natural dependence of the child, the nature of pregnancy as a good according to the nature of the human person, and the woman’s responsibility in bringing that child into being, and therefore causing it to be dependent on her. What he fails to address head on, however, is the very fact that this recognition of pregnancy as a natural good has become incomprehensible to a society with a dualistic/Cartesian approach to the body, and an anthropology of the autonomous individual. It is frightening to realize that in a world of assisted suicide, IVF, and genetic selection, it is becoming impossible to find the grounds to argue from the basic established principles Beckwith felt he could employ when this book was written only eight years ago. Thus, such appeals as: “No one disputes that the homeless are intrinsically valuable, even though they are, for the most part, unwanted...” (pg.99), or that of the wrongness of taking a ten year olds’ kidneys to save a person who is curing AIDs (pg. xii), are becoming increasingly hard to maintain with the logic of a society that does ground the value of persons oftentimes in their utility, or desirability for the strong, the intelligent, and the successful. Beckwith sometimes touches on this, but in other places assumes in his arguments that his readers are willing to accept a definition of the value of life that is becoming virtually incomprehensible to modern society. I would recommend this book to those interested in understanding the details of Roe v. Wade, those in pro-life work and ministry who find themselves often confronted by the details of the arguments refuted here, and to anyone interested in understanding and thinking more deeply through the implications of our current legal battle over abortion. It is a very good summary, and comprehensive approach to the many-faceted components of the debate. In the end, this book is most valuable for its insistence on asking the deeper questions within the abortion debate: Who has rights? Human persons? But, then, what makes you a person? Is it biology? The capacity to feel pain? Being human? Or certain apparent characteristics, determined by whom? These questions are foundational to the debate, and it is doubtful whether they can be answered apart from theological resources. In the end, are compelling, rational arguments, like those Beckwith ably provides, enough? Is logic and reason enough? Do we even still take them seriously? Can we speak about morality in purely rational terms, with no appeal to the spiritual? In speaking of rights, is it possible to avoid the question of Who the source of these rights is? 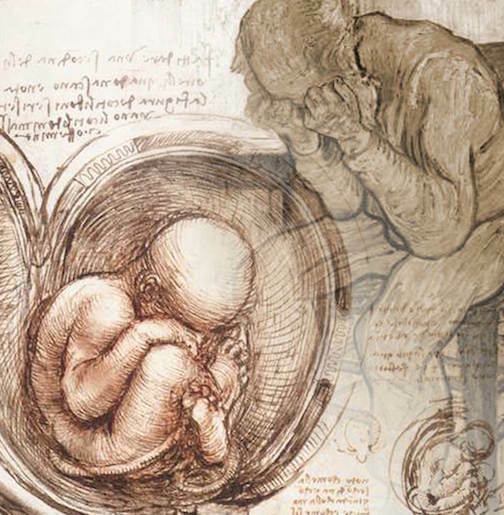 Can one truly affirm the inviolable dignity and personhood of the unborn apart from the truth that man is made in the image of a Triune God, made from and for and towards the other, made to love and to be loved? These are some of the questions I pondered in reading this book. In a society that conceives of the person as the independent, self-made individual, I think we will need more than logic to move and open our hearts of stone to the needs and inviolable dignity of the other… especially the youngest, most vulnerable. And I think this “more” requires an openness to the Other without Whom our very existence and meaning cannot be comprehended. Siobhán Maloney works with the Center for Cultural and Pastoral Research at the John Paul II Institute in Washington D.C., where she recently received her M.T.S.